Enjoy the most wonderful time of the year with custom gear. 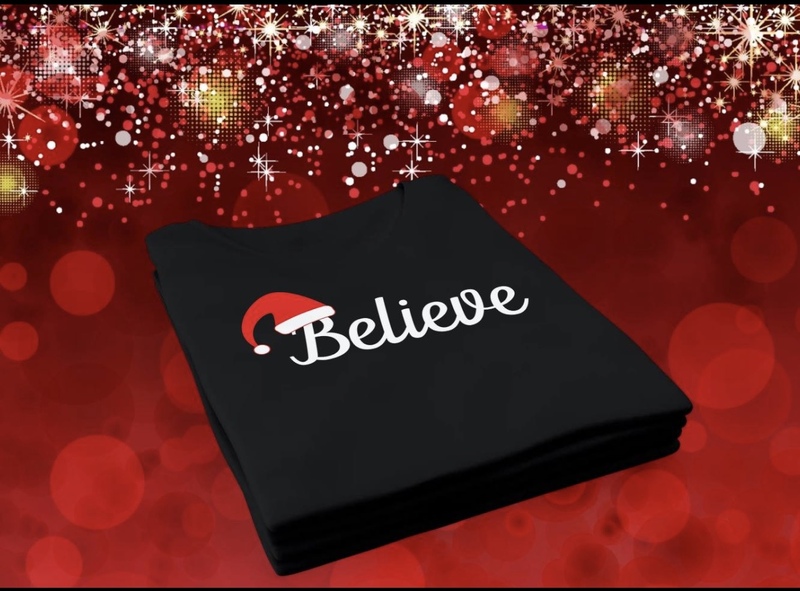 TeesYourself has short sleeve tees, baseball tops and sweatshirts to keep you comfortable and festive this season. Buy one for yourself and one as a gift. slctvrnt:--::|~|:shwqty:--:true:|~|:qty:--:1:|~|:prdurl:--:https://teesyourself.com/cart:|~|:prdimgtp:--:variant:|~|:prdclass:--:ba-8059311:|~|:prdbtnltp:--:cart:|~|:prdbtnelt:--::|~|:prdbtncpt:--:BUY NOW! :|~|:prdbtnclass:--:zpa-button-padding-medium bcss-8059311:|~|:prdbtnalign:--:zpa-button-alignment-left:|~|:prdbdhtml:--:Let's Get Lit! This fun unisex tee is a great addition to your holiday wardrobe. :|~|:mcontclstclass:--:zpa-container cac-8059312:|~|:mcontclass:--:zpa-plain-product-022-v3 cluster-padding-medium ba-8059312:|~|:imgpos:--:left:|~|:handle:--:lets-get-lit-unisex-t-shirt:|~|:descclass:--:pda-8059311:|~|:dcrt2class:--:ba-8059308:|~|:dcrt1class:--:ba-8059309:|~|:crtmsgclass:--:pcma-8059311:|~|:clstid:--:2114132:|~|:brdclass:--:zpa-border-style-none zpa-border-thickness-small ba-8059310:|~|:addcrtmsg:--:Product has been added to cart slctvrnt:--::|~|:shwqty:--:true:|~|:qty:--:1:|~|:prdurl:--:https://teesyourself.com/cart:|~|:prdimgtp:--:variant:|~|:prdclass:--:ba-8059321:|~|:prdbtnltp:--:cart:|~|:prdbtnelt:--::|~|:prdbtncpt:--:BUY NOW! :|~|:prdbtnclass:--:zpa-button-padding-medium bcss-8059321:|~|:prdbtnalign:--:zpa-button-alignment-left:|~|:prdbdhtml:--:This Dabbing Santa Holiday Tee makes for a great addition to your Christmas wardrobe. :|~|:mcontclstclass:--:zpa-container cac-8059322:|~|:mcontclass:--:zpa-plain-product-022-v3 cluster-padding-medium ba-8059322:|~|:imgpos:--:left:|~|:handle:--:dabbing-santa-holiday-unisex-t-shirt:|~|:descclass:--:pda-8059321:|~|:dcrt2class:--:ba-8059318:|~|:dcrt1class:--:ba-8059319:|~|:crtmsgclass:--:pcma-8059321:|~|:clstid:--:2114134:|~|:brdclass:--:zpa-border-style-none zpa-border-thickness-small ba-8059320:|~|:addcrtmsg:--:Product has been added to cart slctvrnt:--::|~|:shwqty:--:true:|~|:qty:--:1:|~|:prdurl:--:https://teesyourself.com/cart:|~|:prdimgtp:--:variant:|~|:prdclass:--:ba-8059326:|~|:prdbtnltp:--:cart:|~|:prdbtnelt:--::|~|:prdbtncpt:--:BUY NOW! :|~|:prdbtnclass:--:zpa-button-padding-medium bcss-8059326:|~|:prdbtnalign:--:zpa-button-alignment-left:|~|:prdbdhtml:--:You'll love this sentimental Holiday T-Shirt. Men and Women alike can brighten any day this season with this awesome design. :|~|:mcontclstclass:--:zpa-container cac-8059327:|~|:mcontclass:--:zpa-plain-product-022-v3 cluster-padding-medium ba-8059327:|~|:imgpos:--:left:|~|:handle:--:believe-holiday-unisex-t-shirt:|~|:descclass:--:pda-8059326:|~|:dcrt2class:--:ba-8059323:|~|:dcrt1class:--:ba-8059324:|~|:crtmsgclass:--:pcma-8059326:|~|:clstid:--:2114135:|~|:brdclass:--:zpa-border-style-none zpa-border-thickness-small ba-8059325:|~|:addcrtmsg:--:Product has been added to cart slctvrnt:--::|~|:shwqty:--:true:|~|:qty:--:1:|~|:prdurl:--:https://teesyourself.com/cart:|~|:prdimgtp:--:variant:|~|:prdclass:--:ba-8059466:|~|:prdbtnltp:--:cart:|~|:prdbtnelt:--::|~|:prdbtncpt:--:BUY NOW! :|~|:prdbtnclass:--:zpa-button-padding-medium bcss-8059466:|~|:prdbtnalign:--:zpa-button-alignment-left:|~|:prdbdhtml:--:This fun whimsical tee is perfect for the holiday season. Buy one for yourself and one for your favorite Elf. TeesYourself's mission is to create clothing that allows clients to brand themselves, celebrate special occasions and represent their personal style and philosophy.